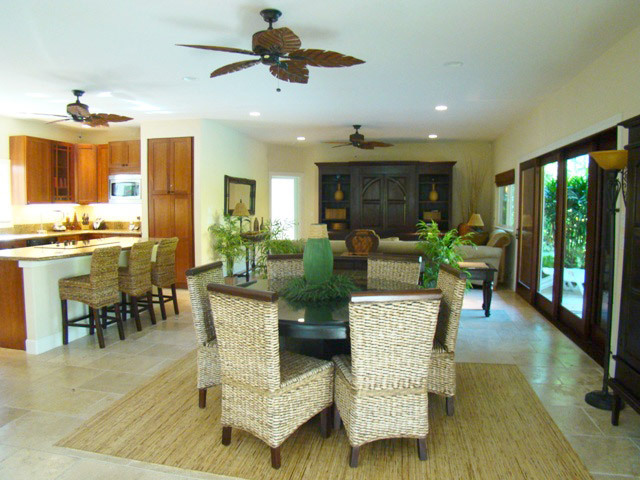 Enjoy tropical island living in this custom modern home. 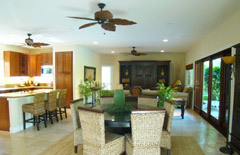 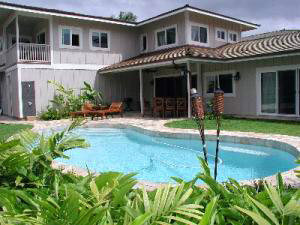 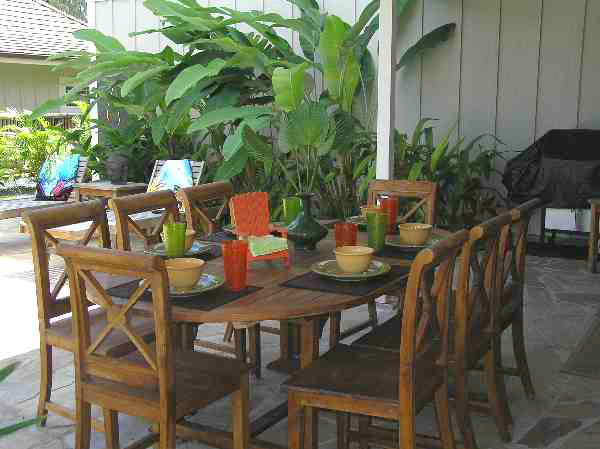 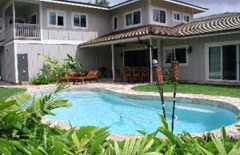 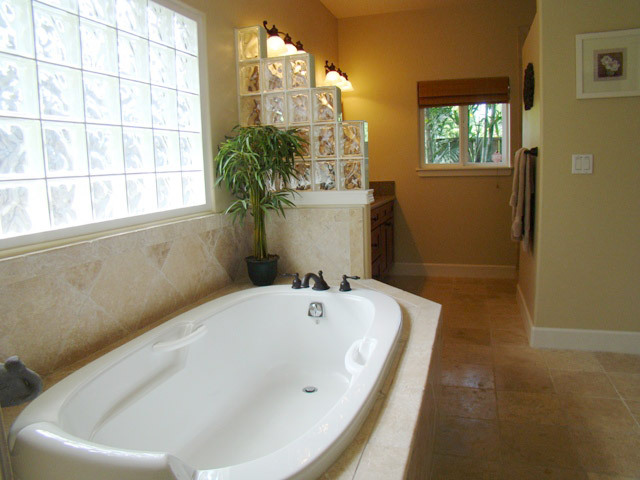 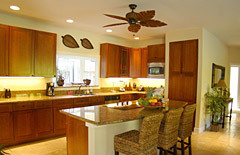 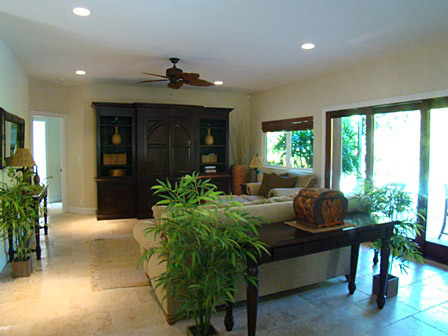 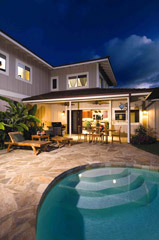 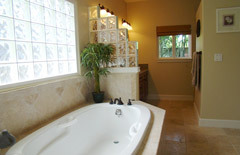 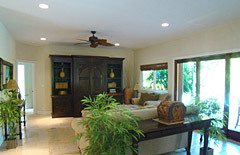 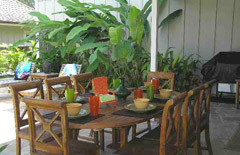 Located in a gated community across from Kailua Beach Park. 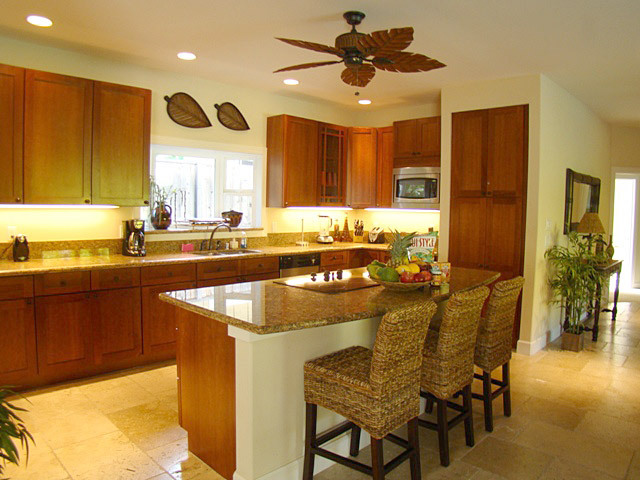 This beautiful home is complete with a gourmet kitchen, tile and wooden flooring and modern island furnishings. 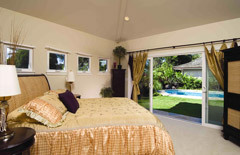 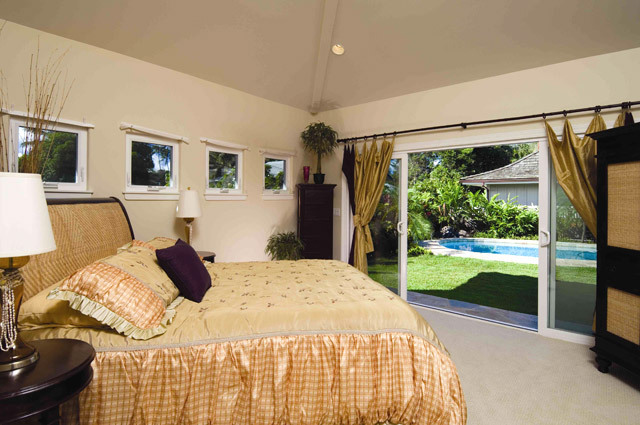 Lounge around the pool and relax on the large covered lanai.